Only one place to start – the dual Grand National hero has twice rewarded his connections at Gigginstown with the title of winning the £1 Million world’s greatest steeplechase. Yet it all commenced at such low beginnings. Nigel Hawke bought this horse for just £10,000 and won with him at Market Rasen on debut in a juvenile hurdle. At the time of selling him to the Irish giants, an £70,000 profit looked a rather nice piece of business. However, as the tiger got older and matured into a fine scope for a horse with not the largest of structures, he has developed and improved into one of the all-time greats, having also landed four victories at the Cheltenham Festival. Twice a winner in the Glenfarcas Cross Country Chase, he won the JCB Triumph Hurdle as a four-year-old back in 2014, and began to show his staying prowess when coming through the four-mile National Hunt Challenge Trophy in 2017. His career earnings have now summited to an astonishing £1,367,282, and only being a nine-year-old, he could still have plenty of big days ahead of him yet including a possible hat-trick bid in the Liverpool highlight in twelve months’ time. Another horse than ran a blinder in this year’s Randox Health Grand National was One For Arthur, who had failed beforehand to replicate the heights of his greatest ever win at Aintree two years ago. Two unseats this season after twelve months on the sidelines with injury meant many had doubts about his jumping when returning to Merseyside for the big race last week. Racing in the last pair even after jumping the Canal Turn for the second time, the ten-year-old made significant headway under Derek Fox, and at one point looks as though he could trouble the leaders. He faded back to a fine sixth and still gave his connections a great day, baring in mind they paid £60,000 for him. Still a large sum in reflection, but Arthur has multiplied the Two Golf Widows investment by ten-times. The now ten-year-old also landed the Classic Chase at Warwick on route to Merseyside back in 2017, and if he remains fit and healthy, there are still a couple of big days in him. £60,000 to win the £1 Million event - surely must go down as a applaudable purchase. Trevor Hemmings is a man of great honour, and has had a fine impact as an individual on the Grand National himself in recent generations. He has won the great race three times – most recently with Many Clouds in 2015, with his two runners this year a shade unlucky; Vintage Clouds falling at the first and Lake View Lad pulling up after being badly hampered on the second circuit. 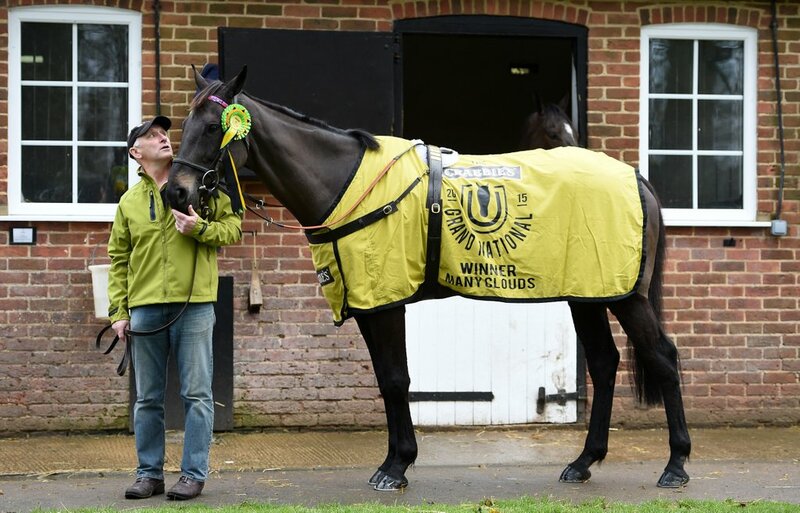 Many Clouds was bought as a yearling back in 2007, by Highflyer Bloodstock for just £6,000 at Tattersalls Ireland. Trained by Oliver Sherwood, the top chaser would go on to win two Grade Two’s, as well as major handicaps away from the National including the Ladbrokes Trophy – known then as the Hennessy. A career that sparked twelve successes and a popular relationship with the racing world, was brought to a sad end off the back of his second Cotswold Chase, after breaking down after the line at Cheltenham. His performance that day epitomised everything that the horse was about, but the return connections got from the original investment was one they could look back on with great pride. Trevor Hemmings won his first National with Hedgehunter back in 2005 [second with Ballabriggs in 2011], and bought the horse for just 3,2000gns – which is approximately £3,400. Despite not winning in any of his first nine starts, the horse went onto accumulate more than £750,000 in prize money – most of which was recorded in the 2005 Grand National. Hedgehunter ran in the world’s greatest steeplechase five times, falling at the final fence when in contention to win on his first attempt in 2004. He put that past him twelve months later when landing the big race for the first time, and was ever so close to becoming the first horse since Red Rum to win it twice when only Numbesixvalderde – trained by Martin Brassil denied him of first place once more. Completing in his next three starts at Aintree, Hedgehunter was a fine servant to the National Hunt scene let-alone his trainer Willie Mullins and connections. Another individual whose expenditure was merely returned with a fine profit margin. Auroras Encore’s big day in the spotlight came in 2013, when prevailing in the John Smith’s-sponsored Grand National for a first-time success for Sue Smith and Ryan Mania, at the mammoth odds of 66/1. In fact, if the owners of Auroras Encore [Douglas Pryde, Jim Beaumont and David P van der Hoeven] placed a bet of £150 on this horse to win six years ago, they would have covered the cost of purchasing the horse in the first place. However, winning the world’s greatest steeplechase awarded them with a six-figure sum to share around, but it was Harvey Smith who bought this gelding in the first place at Doncaster back in 2005 for just 9,500gns. He went onto earn £725,737 in prize-money during his career, which included eight wins from his 47 career starts. Anyone on the odds of 66/1 on that famous day would have seen their finances raise as well.